8:13pm: The D-backs formally announced the signing via a press release. 5:43pm: The Diamondbacks are in agreement on a two-year, $5.5MM contract with right-hander Merrill Kelly, reports Jeff Passan of Yahoo Sports (Twitter links). The contract will pay Kelly $2MM in 2019 and $3MM in 2020. It also includes a pair of club options, per Passan, the first of which is valued at $4.25MM and comes with a $500K buyout. The second of the two options comes with a $5.25MM value, he adds. Kelly, a 30-year-old righty, has never pitched in the Majors but just wrapped up a strong four-year run in the hitter-friendly Korea Baseball Organization. 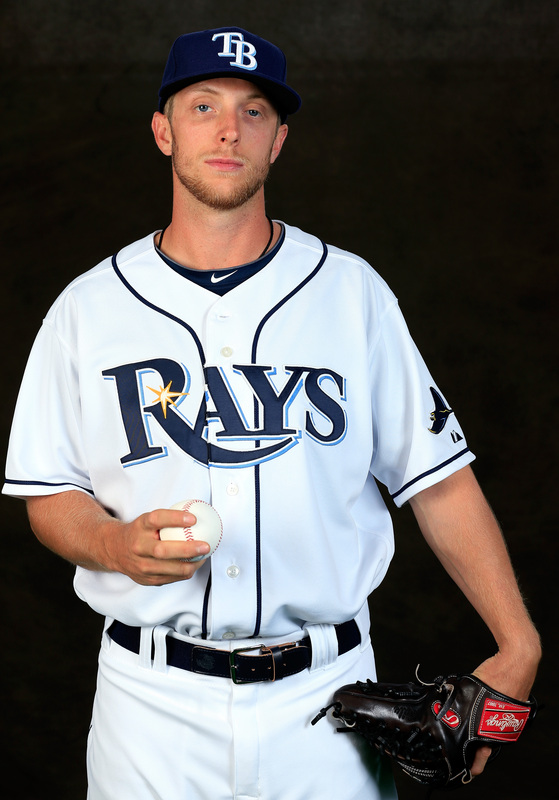 The former Rays farmhand has been particularly impressive over the past two seasons, during which time he has made 61 starts and tossed 390 1/3 innings of 3.64 ERA ball with 341 strikeouts (7.9 K/9) and 105 walks (2.4 BB/9). He’s being viewed as a starter and is expected to join the Diamondbacks’ rotation next season. The Arizona rotation has taken a hit this winter with the loss of Patrick Corbin, who reportedly agreed to a six-year contract with the Nationals earlier today. Arizona will also be without Taijuan Walker for much of the 2019 season after the righty underwent Tommy John surgery earlier this year, and the D-backs also non-tendered Shelby Miller last week. The top names remaining in the Diamondbacks’ rotation mix include Zack Greinke, Robbie Ray, Zack Godley and perhaps Matt Andriese, though there’s been ample trade chatter surrounding the veteran Greinke this offseason. While Kelly lacks big league experience, the contract is a rather low-risk investment for the Diamondbacks, who will hope that Kelly can be the 2019 version of the Cardinals’ Miles Mikolas. It’s the second consecutive season in which GM Mike Hazen and his staff have given a multi-year contract to a pitcher who has no MLB experience. Last winter’s two-year pact for right-hander Yoshihisa Hirano paid off in spades — 66 1/3 innings of 2.44 ERA ball out of the bullpen — and Kelly will bring another intriguing overseas track record at a minimal price. i can read, you dinguses. i meant as in i’ve never heard of the dude before. Everyone knew what you meant. It’s just that no one cares that random dude on the internet has never heard of him. and you know how to use wikipedia and baseball-reference or fangraphs, theres no excuse for this comment anymore, youre literally bragging about not knowing things, or acting like your knowledge is canon for everyone. Don’t let this distract you from the fact that the Spongebob Squarepants canon timeline is 10^2500 years long. That is 10 with 2500 zeros after it. Then youre an idiot. He has accomplished more than you, Mr Nobody. Jesus Christ why don’t we all lighten up. I didn’t realize Chris Elliott played baseball. Son of Bob Elliot of Bob & Ray Fame. Wasn’t he a nominee for the Supreme Court?….Given that they found Hirano at the bus station last year, D-backs may have something here. And it’s pretty much what Matt Moore got…..and I KNOW who Matt Moore is………..Kelly’s gotta be better than that…..
Great sign, it doesn’t looks like he’s ever been bad before, he left the US after putting up a 2.76 ERA in 114 IP at AAA. I like this sign a lot and if he breaks out he will have trade value, I wish Dipoto could take note of stuff like this. That’s a nice cheap shot @ Dipoto. The A’s need cheap rotation options. Why is your boy billy beane getting a pass for sitting on his thumb? Interesting addition. I think he has the potential to be solid and theyre paying him next to nothing. If a rebuild or retool is in the near future, he could be a HUGE chip. One thing about Korean baseball, they really emphasize the use of the whole strike zone and off speed pitches. If he learned those skills in the KBL, this could be a phenomenal signing. low risk high reward signing. If he ends up similar to how Hirano pitched for us I’ll be very happy. I’m excited to see how he does for us. Nice to see overseas guys getting shots like this. If he pans out, then I expect the snakes to lose their best scouts in free agency. Wasn’t this guy last seen trying to get Brett Favre to sign a shoe he stole from Cameron Diaz? Hirano was very good for the Snakes last season, they also signed Yoshikawa in August. Mack Hayashi doing work for the Dbacks in the Pacific Rim. I believe he went to school at Arizona State too so that may have been a factor here too. I like the signing guys. I just think because of his lack of Ks he’d be a good bullpen guy and a starter like he was in Japan. Really good ERA in Korea with a 3.82 in three seasons. Yet, he surrendered H/9 severely with a 9.4 and not much with the Ks. I wanted Hirano last year. We’ll see on this guy. Maybe if he doesn’t work as a starter maybe a bullpen arm. I mean the contract is friendly regardless and if they don’t like it then can buy him out after year 2. Merrill Kelly is essentially a poor man’s Rick Porcello. Worse command/control but he’ll be worth every penny. What they failed to mention is that he used to throw 89 and now hits 96. While sitting 92-94 generally, he has been scouted to be 4 starter material, but he should be able to be even better.